And now to someone who is not known for the records they released but is, nonetheless, maybe the most influential man on rhythm and blues. William James 'Willie' Dixon was born in Vicksburg, Mississippi in 1915, , where else? His mother Daisy often rhymed the things she said, a habit her son imitated. At the age of seven, young Dixon became an admirer of a band that featured pianist Little Brother Montgomery. Dixon was first introduced to blues when he served time on prison farms in Mississippi as an early teenager. He later learned how to sing harmony from local carpenter Leo Phelps. Dixon sang bass in Phelps' group The Jubilee Singers, a local gospel quartet that regularly appeared on the Vicksburg radio station WQBC. Dixon began adapting poems he was writing as songs, and even sold some tunes to local music groups. He left Mississippi in 1936 and went to Chicago, becoming a successful boxer ( he was six feet six inches and 250 pounds), winning the Illinois State Golden Gloves Heavyweight Championship (Novice Division) in 1937. Dixon turned professional as a boxer and worked briefly as Joe Louis' sparring partner. After four fights, Dixon left boxing after getting into a fight with his manager over being cheated out of money. After the war, he formed a group named the Four Jumps of Jive and then reunited with Caston, forming the Big Three Trio, who went on to record for Columbia Records. Dixon signed with Chess Records as a recording artist, but began performing less, being more involved with administrative tasks for the label. By 1951, he was a full-time employee at Chess, where he acted as producer, talent scout, session musician and staff songwriter. He was also a producer for Chess subsidiary Checker Records. His relationship with Chess was sometimes strained, although he stayed with the label from 1948 to the early 1960s. During this time Dixon's output and influence were prodigious. From late 1956 to early 1959, he worked in a similar capacity for Cobra Records, where he produced early singles for Otis Rush, Magic Sam, and Buddy Guy. He later recorded on Bluesville Records. From the late 1960s until the middle 1970s, Dixon ran his own record label, Yambo Records, along with two subsidiary labels, Supreme and Spoonful. He released his 1971 album "Peace?" on Yambo, as well as singles by McKinley Mitchell, Lucky Peterson and others. Dixon is considered one of the key figures in the creation of Chicago blues. He worked with Chuck Berry, Muddy Waters, Howlin' Wolf, Otis Rush, Bo Diddley, Joe Louis Walker, Little Walter, Sonny Boy Williamson, Koko Taylor, Little Milton, Eddie Boyd, Jimmy Witherspoon, Lowell Fulson, Willie Mabon, Memphis Slim, Washboard Sam, Jimmy Rogers, Sam Lay and others. 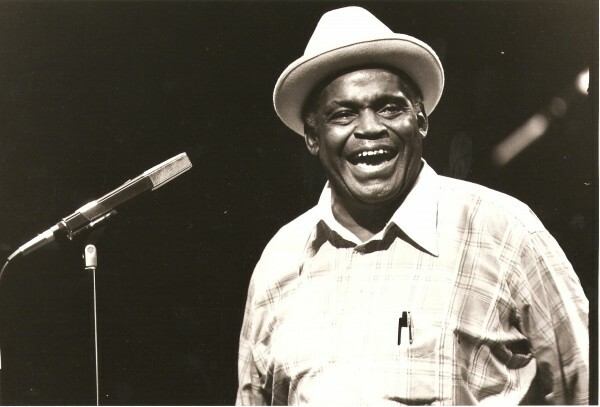 In his later years, Willie Dixon became a tireless ambassador for the blues and a vocal advocate for its practitioners, founding the Blues Heaven Foundation. In 1987, Dixon received an out-of-court settlement from Led Zeppelin after suing them for plagiarism, in relation to their use of his music for "Bring It On Home" and his lyrics from his composition "You Need Love" (1962) for their track "Whole Lotta Love". He died of heart failure in 1992.